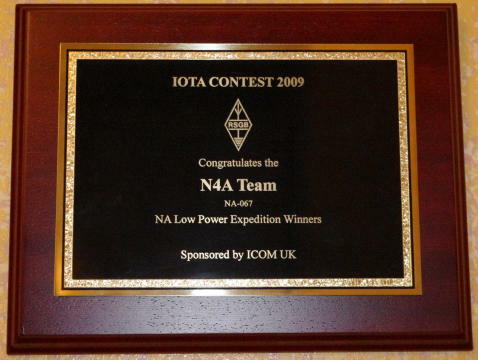 The NR3X team for the 2009 Cape Lookout Expedition won the 1st place plague in the RSGB IOTA contest as part of the island activation. Congratulations to the individual 2009 team members(W0UCE, N3ND, N4YDU,W4KAZ) and many thanks to the RSGB contest sponsors and ICOM UK for sponsoring the plaque. It is BEAUTIFUL….